The current statistics on daily average screen time for children (outside of normal school hours) is six and a half hours, more than twice as much compared to 1995. This gets higher as children move into adolescence (up to eight hours a day for teenage boys) and just 16% of girls and 21% of boys aged 5 – 18 years old are getting enough physical activity to maintain a healthy lifestyle*. We have a problem; not that we are going to underperform at the 2036 Olympics, but by the time 2036 comes round we may have a completely inactive generation and there isn’t a world record or Olympic medal that will be able to plaster over the cracks that this will cause across our healthcare and education systems – the financial and social impacts alone will be devastating. Our industry (Sport and Physical Activity) is fighting against a formidable force; Evolution. We have evolved to be lazy, or ‘energy efficient’. It’s natural for us to choose the pathway that requires least energy to achieve the desired or required goal. The invention of the wheel is not a bad point of reference for this – the issue is that the pathways and activities on offer now allow us to be almost completely sedentary; for example, I can order my food online and get it delivered to my door, I can communicate with friends whilst sat on my sofa, I can earn a salary sat down at a computer all day, and the point I’d like to focus on – our children can stay entertained without leaving the house. Sport and Physical Activity is competing for participation and engagement in a world with ever-expanding sedentary entertainment options – movies, television, computer games and social media are filling those Saturday mornings, Sunday afternoons and times between the end of school and dinner time that used to be spent by children playing games in the street, attending sports coaching sessions in the local park or at school, or running around a field with friends. Our challenge as a children’s activity sector is to develop and deliver physical activity programmes that are so emotionally, socially, cognitively and physically stimulating to children and young people that they competitively challenge the screen-time option and become the favoured choice for entertainment. This is where the role of the Children’s Activity Professional is crucial. 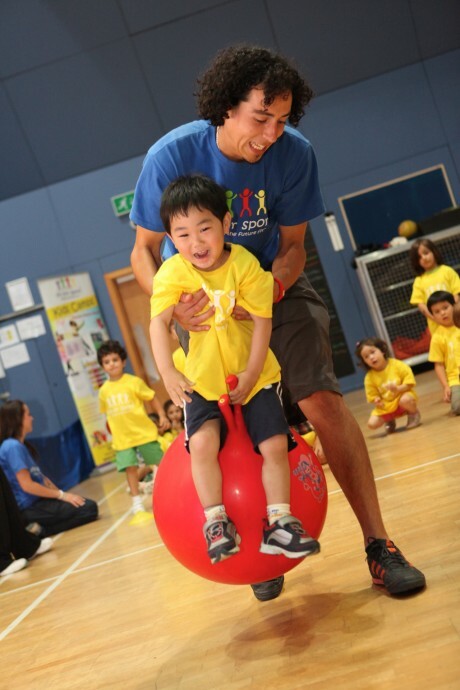 An activity professional with the relevant skills and competencies that understands children’s emotional and physical developmental needs, motivators and expectations and also understands that it is the children’s holistic experience during those precious minutes in an activity session – both in and out of school – that will lay the foundations for a lifelong interest in and enjoyment of physical activity. Whether we are delivering sport specific coaching sessions, multi-game activities, PE lessons or any other structured physical activity focused sessions, it is essential that the person delivering is aware of the bigger picture beyond the game rules or the technical aspects of playing a game – are the children smiling? Are the children communicating and interacting positively with each other? Is the equipment and are the tasks age appropriate? Have the children all had an opportunity to get better at something and make choices that affect these competencies? Have the children all left the session feeling like they are part of a team or part of something unified that is much bigger than the game itself? These are all questions that we need Children’s Activity Professionals in all settings to think about and apply across their delivery and it’s the outcomes and experiences of these considered applications that may just put running around a local park on a Saturday morning kicking a ball or signing up to a sports after-school club ahead of another hour of sedentary screen time. As an industry we have to raise our game and put physical activity back at the top of a child’s entertainment wish list and at Fit For Sport we believe that this can be driven through a professional and specialised children’s activity workforce. With the announcement of the new DCMS Sport Strategy focusing in part on physical activity levels of children from 5 years and the backing of CIMSPA (Chartered Institute for the Management of Sport and Physical Activity) to professionalise our sector as a whole, we have an opportunity to take this step and support a national workforce through quality and fit-for-purpose training and CPD that can truly inspire children and young people to choose and engage in physical activity for life.